Electric and plug-in hybrid vehicles could make up 50% on new vehicle sales in the UK by 2025 – ahead of targets – but only if government deploys a clear strategy on charging roll-out. The REA is calling for a charge infrastructure strategy to accelerate the shift to electric vehicles. That’s the view of the Renewable Energy Association (REA) in its newly launched ‘Forward View’ of the evolution of the UK’s electric vehicle market. It believes new car sales will be electric well before DEFRA’s 2040 ban on new sales of “conventional petrol and diesel cars and vans” but this needs to be coordinated with government policy. 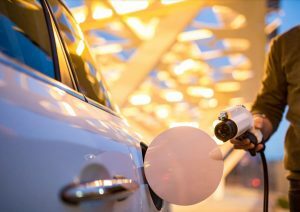 In particular, the report anticipates there will be a significant increase in miles driven electrically, in fully electric and extended-range EVs, prompting a shift away from traditional filling stations, with the majority of charging taking place at home and at work. This would be supplemented by public charging at supermarkets and other retail sites, public car parks, and at charging “hubs” along major motorways. The association is also calling for the introduction of three-phase electricity supply in new homes, smart tariffs that allow for charging at different speeds, and the delivery of the Government’s Smart Systems and Flexibility Plan. For more industry latest news, click here.